For years, Chris Corbin has made a living protecting people's assets through State Farm Insurance. Now he's insuring that folks have farm-fresh fare in Sandy. At 11 a.m. Friday, Jan. 25, Corbin and Preston Watts, his right-hand man and general manager, will officially open Brady's Brats and Burgers in the location of the old Trout Pub, 39333 Proctor Blvd. The name of the game is burgers and brats, fries and tots, all made to order with customizable toppings. It's the choose-your-own-adventure of quick cuisine. "I've been in the restaurant business my whole life," Corbin noted. "I love cooking. I cook all the time, I had an opportunity to start my own (and) it was a perfect situation." 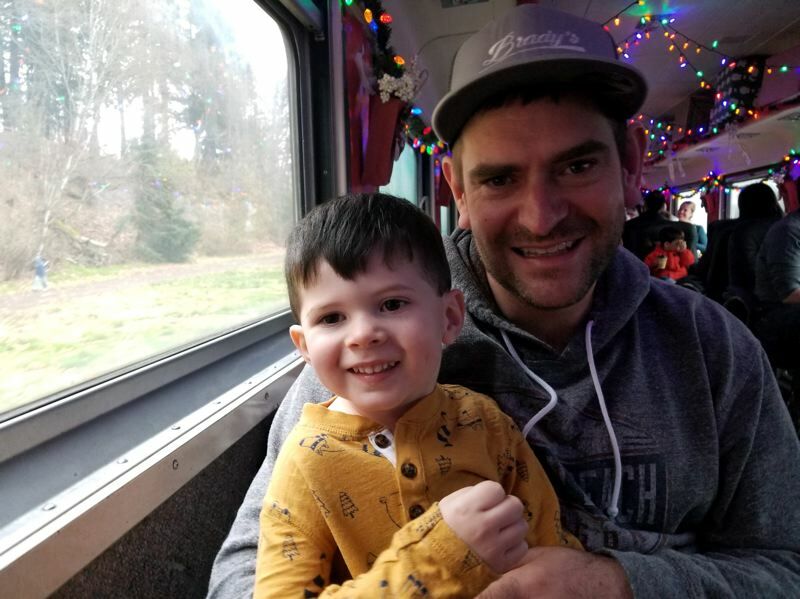 Corbin named the business after his 2-year-old son Brady, not just because the alliteration had a nice ring to it, but because of "an internal wanting to provide for my kids." Corbin's parents have been restaurateurs in the Tri-Cities, Wash., area for most of his life. He attributes his early love of cooking to memories of helping his mom in the kitchen. From there, though his collegiate studies didn't take him down a culinary path, Corbin followed his love of food into a server position at Bonefish Grill in Richland, Wash. He worked his way up from server to dishwasher to kitchen manager. "I made it from the bottom up through management level with a basic love of cooking," Corbin said. "I like quality food, (and) I'm really excited to open." Though Corbin owns the shop, Watts will handle day-to-day operations and actually make the sausages in-house. Fresh out of business school at Portland State University, Watts is no stranger to the restaurant industry. He worked at Bunk Sandwiches in Portland as the manager before agreeing to partner in Corbin's new eatery endeavor. "He gave me an offer I couldn't resist," Watts noted. "I'm a snowboarder, so I know coming down the hill we want our beer. Joe's Donuts can get the morning folks going up, and we'll get them coming back down." 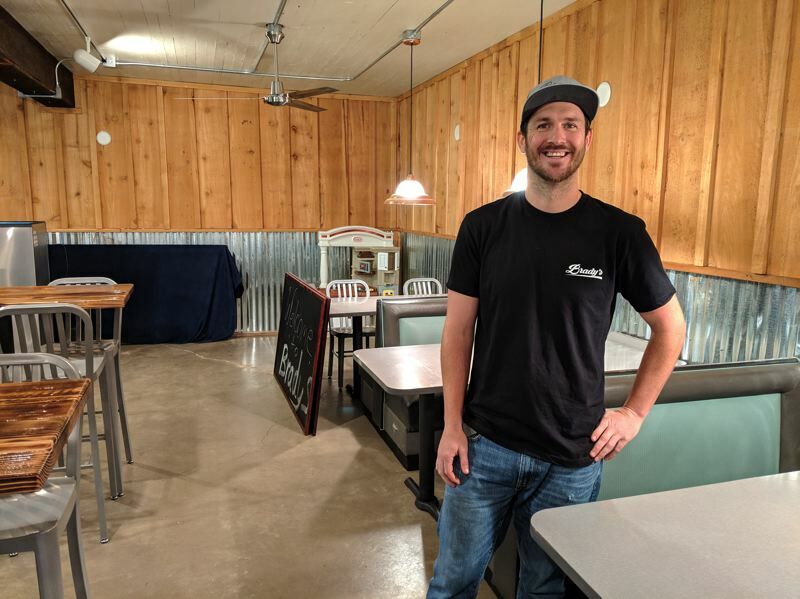 The restaurant will offer up to five different kinds of bratwursts at a time, playing to hunting seasons with elk, venison and possibly even boar-based brats. There will also be at least four beers on tap, with flavors catering to every season, along with soft drinks and other beverages. Every item on the menu will be made to order, and the customer chooses the toppings. There also will be a children's play area and kid-friendly options like grilled cheese and hot dogs on the menu, as well as Skee Ball and video lottery. "I'm excited about the brats because no one's ever done this," Corbin said. "It's simple, it's quick and it's delicious. I had aspirations of franchising. I think this place could be the next Five Guys." Both Corbin and Watts see the combination of the fare and location as just the right culinary addition for Sandy. "Sandy is a unique city that's growing and changing by the minute," Corbin added. "I really think Sandy has a lack of quick stop and go food." At the Jan. 25 opening, the duo will be accompanied by Sandy Mayor Stan Pulliam and Sandy Area Chamber of Commerce Executive Director Khrys Jones for an official ribbon cutting. "The city has been helping a lot," Watts said. "I'm looking forward to making the sausages and bringing something fresh and new to Sandy." The shop will be open from 11 a.m. to 9 p.m. Monday through Sunday.